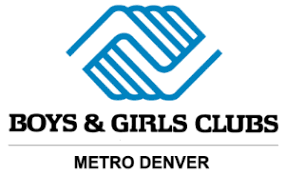 Every day after school and throughout the summer, Boys & Girls Clubs of Metro Denver offers the safety, support, mentorship and inspiration that kids and families depend on. For more than 50 years, Boys & Girls clubs of Metro Denver has been filling the gap between school and home, when kids need us most. Through dedicated staff and nationally recognized programs that focus on the whole child, we are positively shaping the future for your and families in our community. Come join the fun and contribute to a worthy cause.